INTERVIEW OF DEXTER VAN ZILE: THE POLICIES OF THE WCC ARE ANTI-ISRAEL……. – The Tundra Tabloids……. INTERVIEW OF DEXTER VAN ZILE: THE POLICIES OF THE WCC ARE ANTI-ISRAEL……. 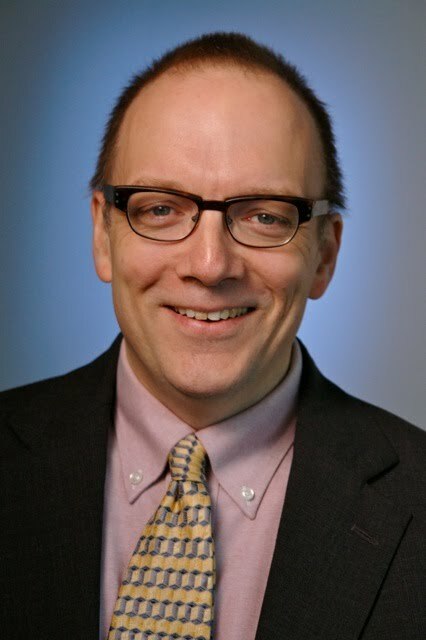 Interview series: Christian Media analyst Dexter Van Zile: Only Israel is condemned, while Copts are killed in Egypt, Arab Christians persecuted in Muslim countries. WCC has two bodies working to end the “occupation”. The writer has been a long-term adviser on strategy issues to the Boards of several major multinational corporations in Europe and North America. He is the Chairman of the Board of the Jerusalem Center for Public Affairs. “The World Council of Churches, an umbrella organization for 349 Protestant and Orthodox churches founded in 1948, has been largely hostile to Israel, particularly during times of conflict. WCC institutions demonize Israel, use a double-standard to assess its actions and from time to time de-legitimize the Jewish state. They have also persistently denied the intent of Israel’s adversaries to deprive the Jewish people of their right to a sovereign state. Dexter Van Zile is Christian Media Analyst for the Committee for Accuracy in Middle East Reporting in America (CAMERA). His writings have appeared in numerous American Jewish newspapers, as well as in the Jerusalem Post, Ecumenical Trends, and the Boston Globe. Van Zile says that a few among many examples over the decades are representative of the WCC’s recurrent anti-Israelism: “The WCC’s response to events in Lebanon in the 1970’s and 1980’s was simple. In their declarations, the WCC failed to hold the PLO accountable for its actions, but vociferously condemned Israel. It offered vague and diffuse condemnations of massacres in Lebanon in those decades, failing to provide details about either the identity of the victims, or the identity and motives of the perpetrators. Yet when Israel invaded Lebanon in 1982, WCC institutions forcefully condemned Israel, while attributing malign intent to it. 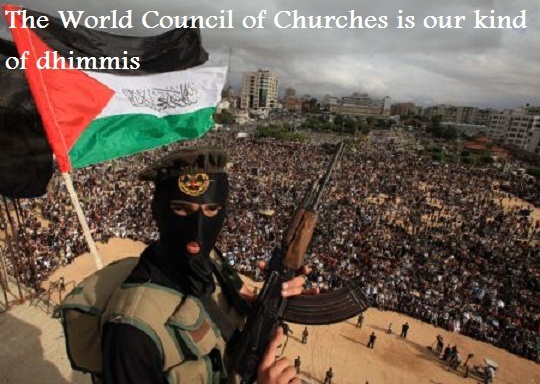 “The Middle East Council of Churches has prevailed upon the WCC to condemn Israel. On the other hand, the Russian Orthodox Church was able to prevent the WCC from condemning the Soviet invasion of Afghanistan in the 1980’s. “In 2005, the WCC’s Central Committee expressed support for the anti-Israeli divestment campaign in mainline American Protestant churches. After the Presbyterian Church (USA’s) General Assembly passed a divestment resolution which stated that Israel’s ‘occupation” was at the root of violence against innocents on both sides of the conflict – as if anti-Semitic incitement in Palestinian society had nothing to do with the conflict – the WCC’s Central Committee issued a “minute” lauding the decision. “This action is commendable in both method and manner, uses criteria rooted in faith, and calls on members to do the ‘things that make for peace’ (Luke 19:42). “In June 2010, WCC General Secretary Olav Fykse Tveit issued a public statement lamenting the confrontation that took place between Israeli commandos and passengers on board the Mavi Marmara, part of the Free Gaza Movement’s flotilla, which attempted to bring Turkish-trained jihadists into the Gaza Strip using Western peace activists as cover. “Tveit mischaracterized the events, writing: “We condemn the assault and killing of innocent people who were attempting to deliver humanitarian assistance to the people of Gaza, who have been under a crippling Israeli blockade since 2007.” Tveit went on to denounce “the flagrant violation of international law by Israel in attacking and boarding a humanitarian convoy in international waters.” This was a lie, as international law permitted Israel to act as it did. “The WCC has even established two bodies – the Ecumenical Accompaniment Programme in Palestine and Israel (EAPPI) and the Palestine Israel Ecumenical Forum (PIEF) – with the singular purpose of ending Israel’s ‘occupation’ of the West Bank and the Gaza Strip. There is nothing similar concerning any other country. “The WCC’s attitude on the persecution of Coptic Christians in their homeland of Egypt is radically different. Copts have been subjected to mob violence and their churches have been burned on a regular basis. They are demonized on television and the internet by Muslim extremists, accused of kidnapping Muslim women and forcing them to convert to Christianity when in fact Coptic women and girls have been raped and abducted and forced to convert to Islam by their neighbors. “The WCC has expressed its worry about the situation of the Copts in Egypt. What is remarkable however, is the absence of any condemnation of the Supreme Council of the Armed Forces – which governs Egypt – for failing to protect Coptic Christians. It also does not speak in a forthright manner about what is happening. Neither do the National Council of Churches in the U.S., nor any of the mainline Protestant churches in the U.S. that have assailed Israel so frequently and so vociferously in the past few years. Previous Post Previous Post SOEREN KERN: EUROPE MARCHING TOWARD THE CALIPHATE……. Next Post Next Post INTERVIEW WITH RON BANERJEE: UNDERSTANDING ISLAMIC VIOLENCE, HOW TO DEFEND OUR FREEDOMS…….